All lineups reflect most recent games played, including the return of Kevin Durant. Every player in the NBA had their speed rating re-evaluated based on 2014-15 player tracking analytics which included player’s top sprint speed and timing. In the past some athletic big men have felt sluggish at times in the game, and that can be attributed to the fact that their speed rating did not reflect their top end speed. Today’s update should do just that, and give you a more lifelike feel when playing. Every player also had their Stamina rating re-evaluated as well. Due to these, in some cases, drastic changes some player’s Overall Rating may have fluctuated a point or two. 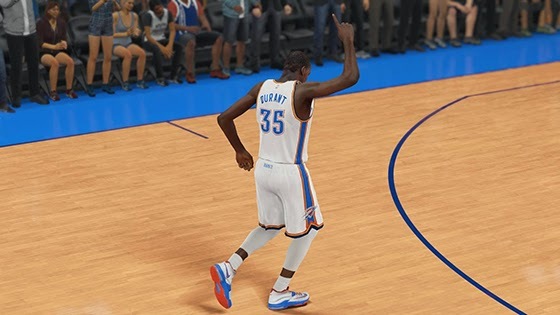 Tomorrow’s update will see plenty more attribute changes to best reflect player performance.